The giant Walk Through Heart Valve took a three man team one and one half years to complete. 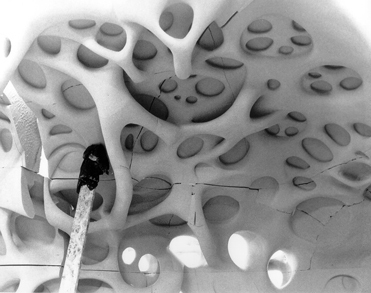 First, the Valve was sculpted in a urethane foam, from a small scale model that was created to perfectly fit into the architecture of the installation site. 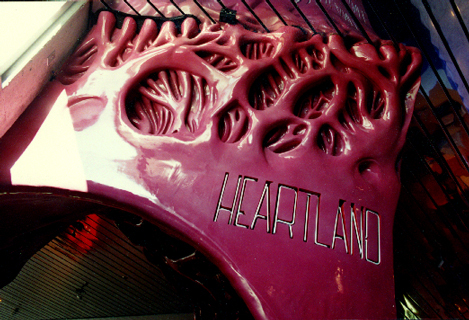 The owner of the Heart Institute wanted visitors to be able to see in to the museum from the lobby of the Heart Institute, so large voids in the musculature of the heart wall were designed, visitors would be able to see through the "muscular bridges" or trabeculae of the heart. 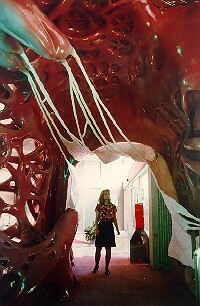 The urethane foam sculpture was carved from giant billets of foam, which were then covered with a fiberglass and resin skin. Layer after layer was applied to build the skin up to a strong and durable surface. 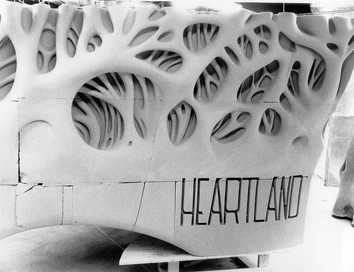 Next the time intensive part, because of the slick surface of the interior of the heart the sculpture had to be sanded smooth to remove the ripples and lumps from the sprayed on fiberglass coating. Pneumatic jitterbug sanders were used to get a smooth surface. Bondo was applied and sanded to patch any divots and dents. The scale of this sculpture was so large that we worked on it in pieces. 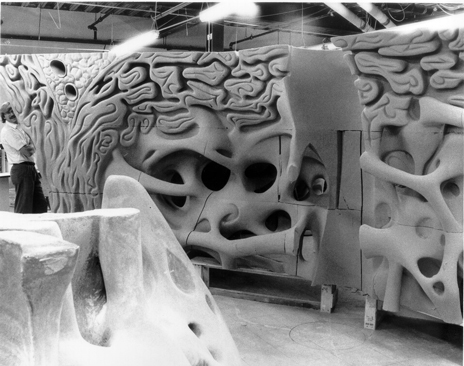 The pieces of the foam are clearly visible in the early sculpting stages. Next the pieces were primed and painted to realistically emulate the tissue of the heart. The pieces were then assembled on site, seemed together, and structurally attached to the building. Then the seams were filled and sanded and painted, and a high gloss coating applied on site. Finally the molded silicone valve cusps were attached. The entire project was supervised, and conceptualized by Adam Rubinstein Medical Illustrator. Who worked and hands on directed all parts of the project. 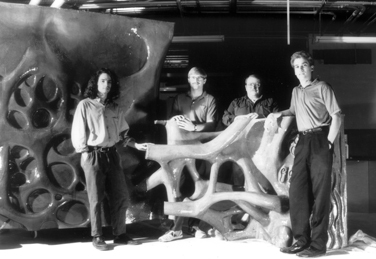 The primary artists on this project shown from left to right were Adam Rubinstein Medical Illustrator, Darrel Elliot Sculptor and all around happy person... his positive attitude made this project a reality, Lynn Hopkins sculptor and art educator, Mark Molchan fine artist.